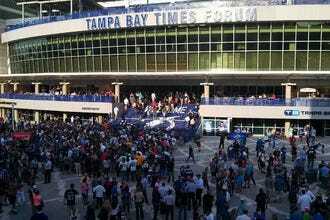 Tampa's popular and busy International Airport is centrally located within the city. Close to downtown, the cruise port, Ybor City and the business district, visitors may choose to stay at an airport hotel whether here for business or pleasure. With a wide variety of hotels to choose from, 10 Best has put together a list of the top ten options help you choose the perfect accommodation for your visit. If convenient access is your first priority, you don't even have to leave the airport to find it. Early morning flights are a breeze if you choose to stay at the Marriott Tampa Airport which is located in the main airport building. This hotel features all the amenities you could want including triple-paned windows to ensure a good night's sleep. There is also a lovely outdoor pool area. Prices here are also quite reasonable. 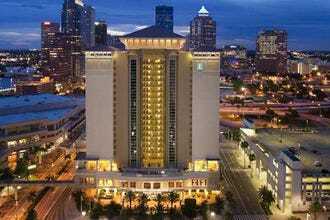 The Grand Hyatt Tampa Bay is one of Tampa's premier hotels and is located within minutes of the airport. This hotel is a perfect choice if you're looking for beautiful water views, luxury accommodations and top-notch amenities. 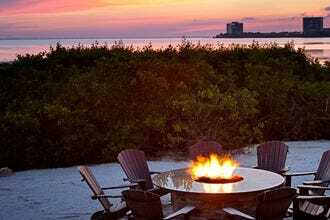 The Grand Hyatt is also home to two of Tampa's best restaurants; Oystercatcher's with it's perfectly prepared seafood dishes, and Armani's, home to excellent northern Italian cuisine and the best views in town. The central location of the Crowne Plaza Tampa Westshore provides guests a good starting point for activities of all types throughout the city and the surrounding areas. The airport is less than fifteen minutes from the Crowne Plaza Tampa Westshore, and onsite parking is available. Guests are offered high speed Internet access, satellite television, working desks, room service, valet laundry options, and premium appointments. 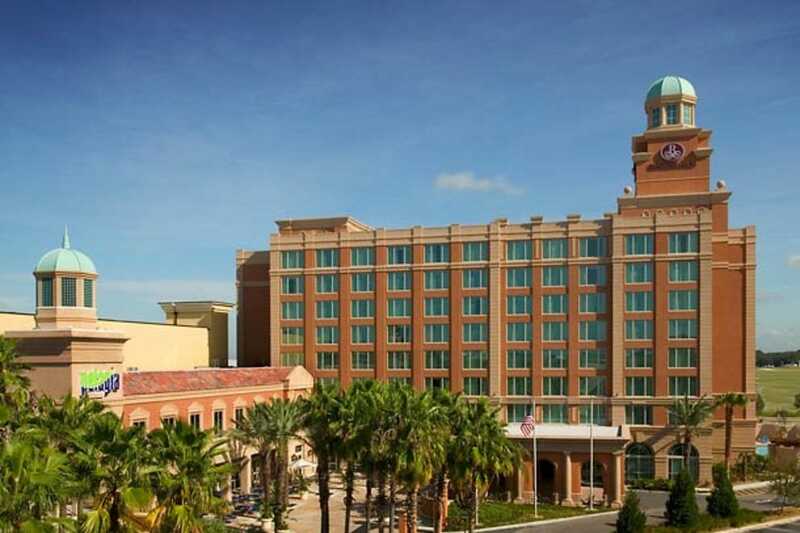 For those who must work while visiting, the important business and government districts of the city, as well as the Tampa Convention Center, are within a few short minutes of the hotel. Business services and meeting spaces are available, as are a swimming pool, 24 hour front desk and concierge service, a Jacuzzi, fitness facilities, and a full service restaurant. 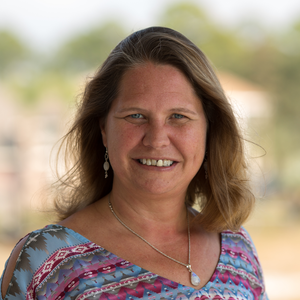 The Courtyard Tampa Westshore/Airport is centrally located within minutes of Tampa International Airport, Raymond James Stadium and the Tampa Convention Center. 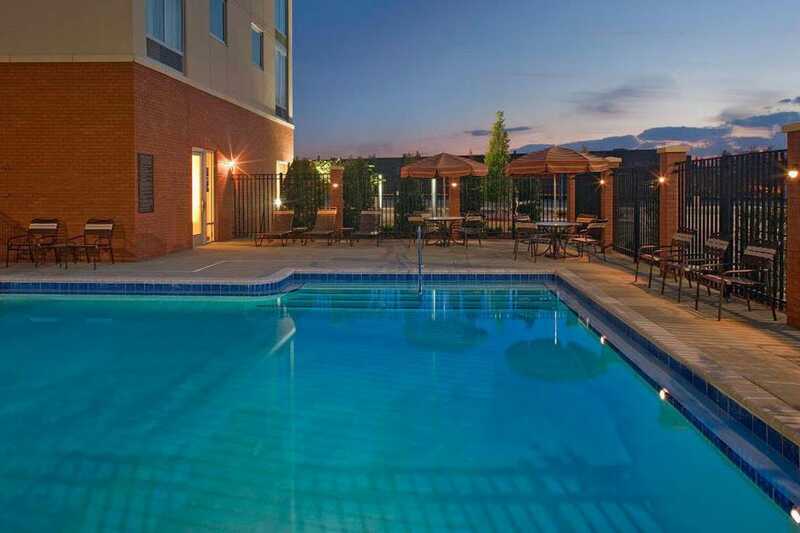 The perfect location for both business and leisure travelers. There is an on-site restaurant, the Courtyard Cafe. Start off with something small or hearty from our reasonably priced breakfast buffet before beginning your day's activities. Enjoy the many amenities we have to offer; plush bedding with mounds of pillows, free high speed internet access, outdoor pool and whirlpool, fitness center and The Market. This is the perfect hotel for sports enthusiasts in town to attend a football game, or die-hard shoppers heading to International Mall! The Hyatt Place Tampa Airport/Westshore is a contemporary business and leisure property with an open floor plan lobby. 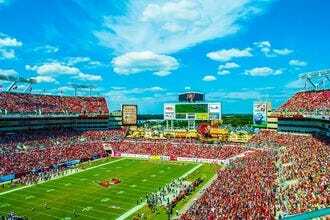 The hotel is located just two miles from Tampa International Airport, close to downtown, the cruise port and Raymond James Stadium. For your convenience, this hotel offers a free shuttle for guests to and from the airport. The 124 well-appointed rooms are designed as suites and luxury suites featuring flat panel TVs, DVD players, wet bars, coffee makers, and high speed Internet access. Guests will enjoy the complimentary breakfast, outdoor pool and specially designed work out space including cardio equipment and free weights. Parking is available on site. The Westshore Grand features contemporary design and gracious, elegant spaces. 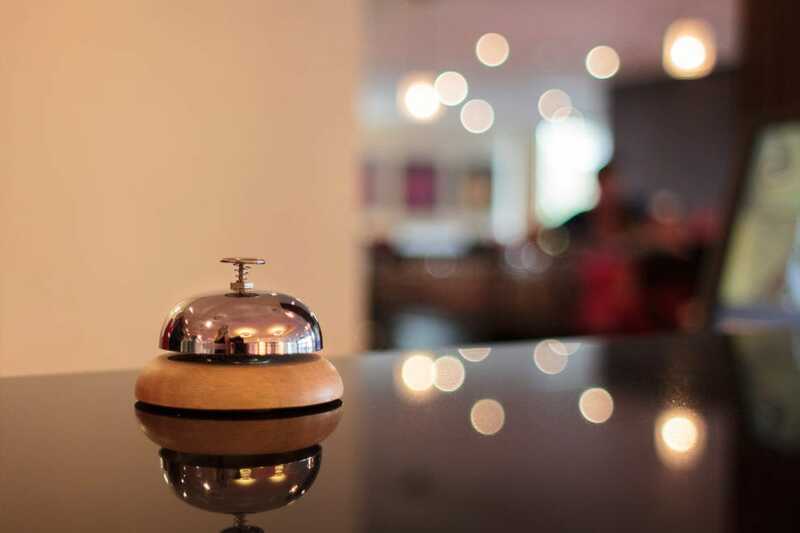 Conveniently located close to the airport, downtown, and great shopping and dining options, the Intercontinental is a favorite among business and leisure travelers alike - although they cater primarily to business travelers. It is also the location of Shula's Steakhouse in Tampa, one of the best steakhouse chains in the country. Hotel amenities include a large pool area, a 24-hour health and fitness center, and a full range of business services. Guests can receive free transportation to and from the airport, or if arriving by car, free self-parking is available. 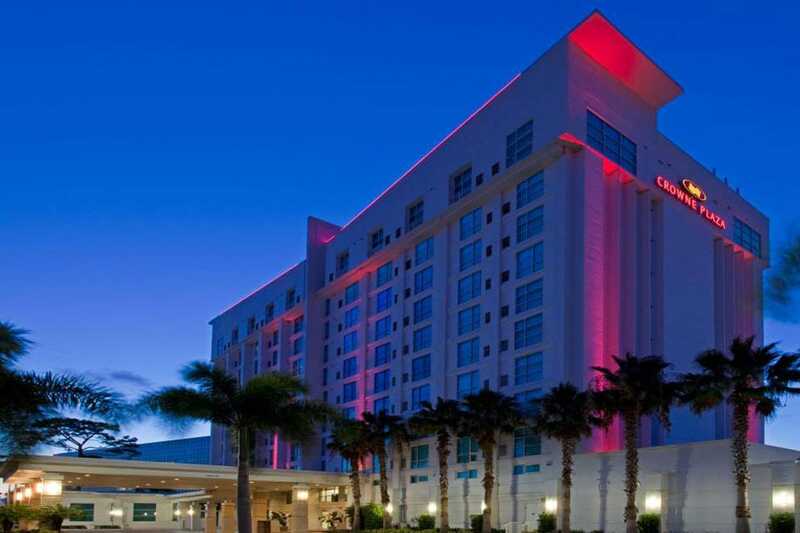 The Hilton Tampa Airport Westshore is located in the Westshore business district, convenient to downtown and the airport. This hotel is also walking distance to fabulous shops and restaurants. Major sports venues nearby include Raymond James Stadium and George M. Steinbrenner Field less than two miles away. Guests will enjoy the complimentary shuttle service within a three-mile radius. Property amenities include an outdoor pool, tennis court, and fitness center. Rooms are spacious and comfortable with all the extras including Serenity beds, flat screen TVs, and MP3 players. The hotel also features an on-site restaurant and lounge. 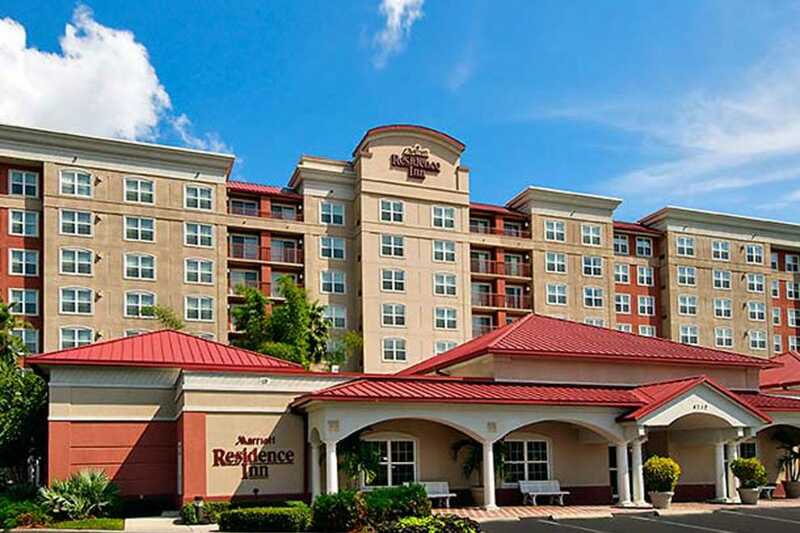 The Residence Inn Tampa Westshore/Airport is located close to upscale shopping, fine dining, the business district, and Raymond James Stadium. 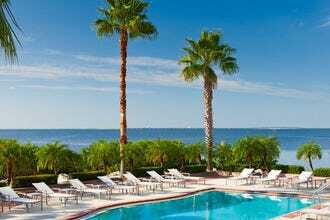 A good option if you are planning a longer stay in Tampa as per night prices are lower for longer stays. 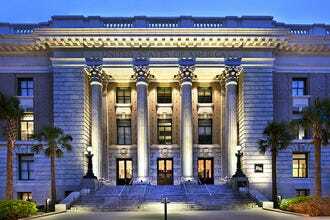 The hotel is modern and recently remodeled Residence Located across the street from our hotel in Tampa Florida you will find upscale shopping and fine dining at International Plaza & Bay Street. The hotel is modern and recently renovated with studio, one and two bedroom suites fully equipped with kitchens, work stations, free Internet and flat panel TVs. Each morning there is a complimentary hot breakfast buffet. This property also features an outdoor pool, spa, fitness center and outdoor sports Court. 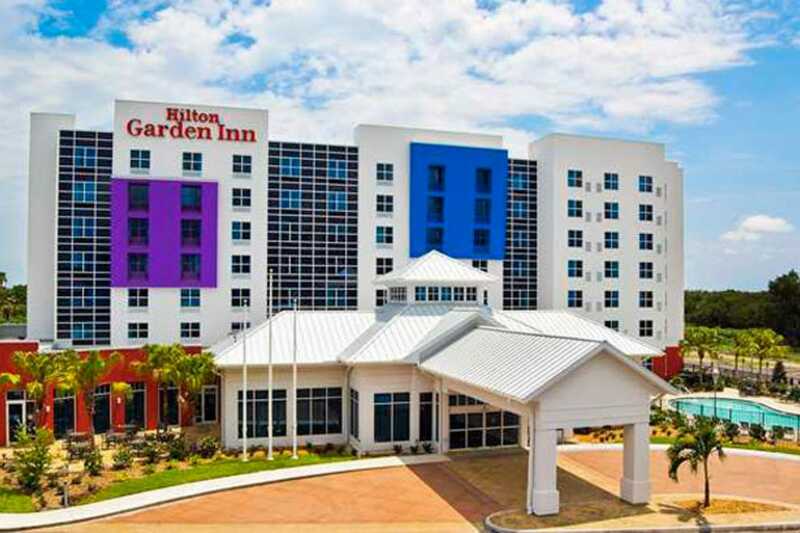 The Hilton Garden Inn Tampa Westshore is located across from the airport and close to great shopping and dining at International Plaza. Complimentary airport transfers are provided. This fresh and modern hotel features all the amenities including a large outdoor pool area and well-equipped fitness room. You can grab breakfast, lunch or dinner at their on-site restaurant, Coast. Business travelers will appreciate the 24-hour business center and complimentary printing service. The stylish and contemporary guest rooms are fully decked-out with all the conveniences including a mini-fridge, microwave, and coffee maker among others. There is also free wireless Internet service in the rooms as well as the public spaces. 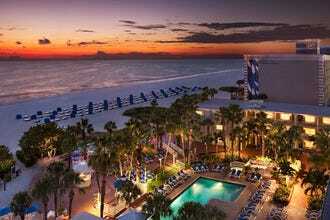 Located on the shores of old Tampa Bay, the Grand Hyatt rises splendid and sophisticated from its scenic surroundings. Conveniently located near the airport, this hotel provides luxurious accommodations for both the business and leisure traveler. The views are unrivaled, whether enjoyed in your room, or while soaking up the sun on the gorgeous outdoor pool deck. 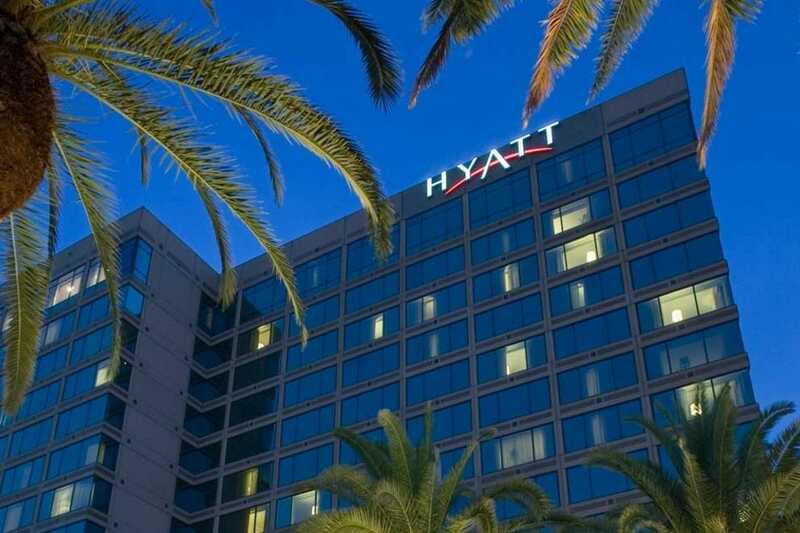 In addition to stylish and comfortable rooms, beautiful grounds, great views, and spectacular amenities, the Grand Hyatt is also known for its two well-known and popular restaurants. Armani's specializes in northern Italian cuisine and features one of the most inventive menus in town. There is also Oystercatchers, one of the area's best seafood restaurants. Built in 2006, the Renaissance Tampa is located at International Plaza and Bay Street, very close to Tampa International Airport. Featuring over 200 upscale stores including Nordstrom's and Neiman Marcus, International Plaza is a shopper's dream, while Bay Street features some of Tampa's best dining and nightlife. The beautifully decorated rooms are ultra-comfortable and after a good night's sleep, you can enjoy one of the best breakfast buffets in town at the hotel's Pelagia Trattoria. It's not free, but it is good. Pelagia features wonderfully prepared modern Italian cuisine for lunch and dinner. Other amenities include a large resort-like pool area and fully-equipped fitness center. Parking is free. Airport hotels are always about location, location, location and the Marriott Tampa Airport has the undisputed best location joined to the main airport terminal. Early morning flights are made easy with a short walk to your gate. 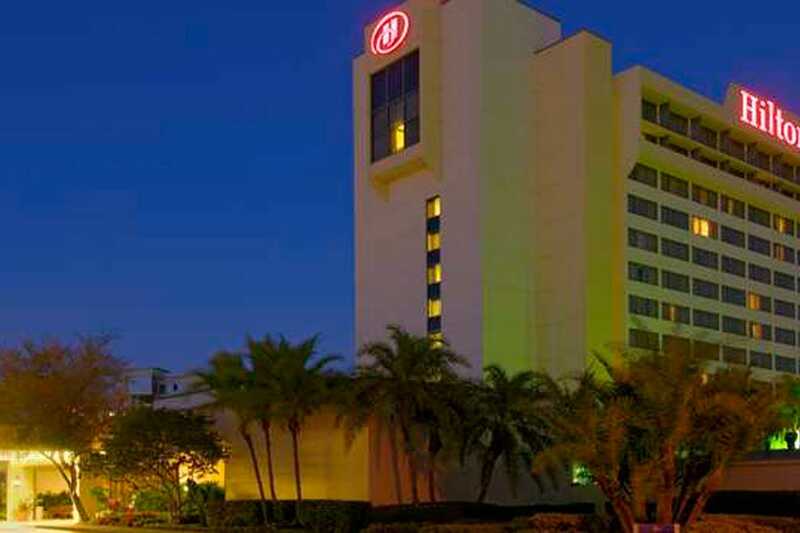 The airport's convenient location in central Tampa also makes this hotel convenient to many of the most popular attractions and activities the city has offer including downtown, the business district and historic Ybor City. This hotel doesn't skimp on the amenities and features an outdoor pool, exercise room and on-site dining options. 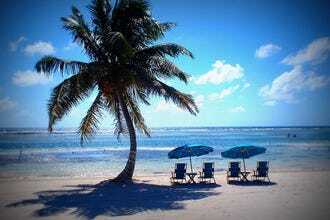 A comfortable room here is also pretty easy on the budget considering its location.